MSIG Vietnam takes and values your privacy seriously. To ensure that your personal information is secure, we communicate and enforce our privacy and security guidelines according to the prevailing Vietnamese laws/regulations. We take precautions to safeguard your personal information against loss, theft, misuse, as well as against unauthorised access, collection, use, disclosure, copying, modification, disposal, or similar risks. 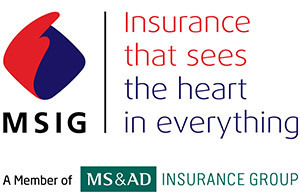 MSIG Vietnam collects, uses and discloses your personal data only for the purposes as communicated to you. In this regard, we may disclose your personal data to our business partners, associates and third party service providers when reasonably necessary, and on a need-to-know basis. We will require these parties to protect personal data they may receive from us in a manner consistent with this Policy. We do not allow them to use the personal data for any other purpose. We will not sell your personal data to any person for any reason. As part of a global insurance group, we may disclose your personal data to our related or affiliated companies in the MS&AD Insurance Group, including but not limited to our Regional holding company. We will also ensure that such disclosure will only be done when necessary, and will be in accordance with this Policy. We will retain your personal data for a period that is no longer than necessary for business or legal purposes. If you have any feedback or queries in relation to the protection of your personal data, you may also contact us via email address [email protected].